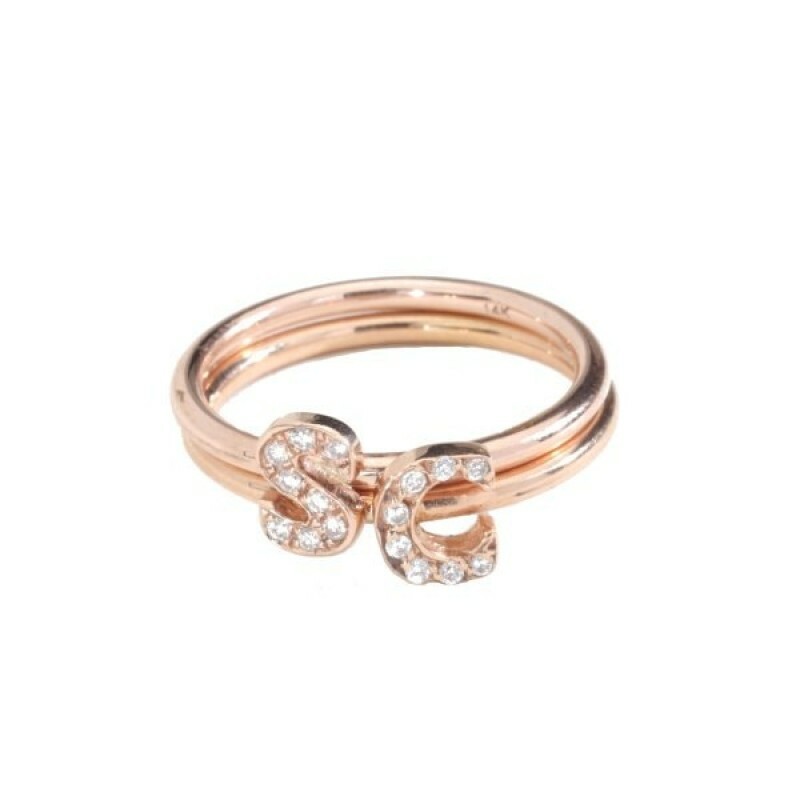 Sweet and stackable diamond initial rings. Wear just one or stack your loved ones letters. 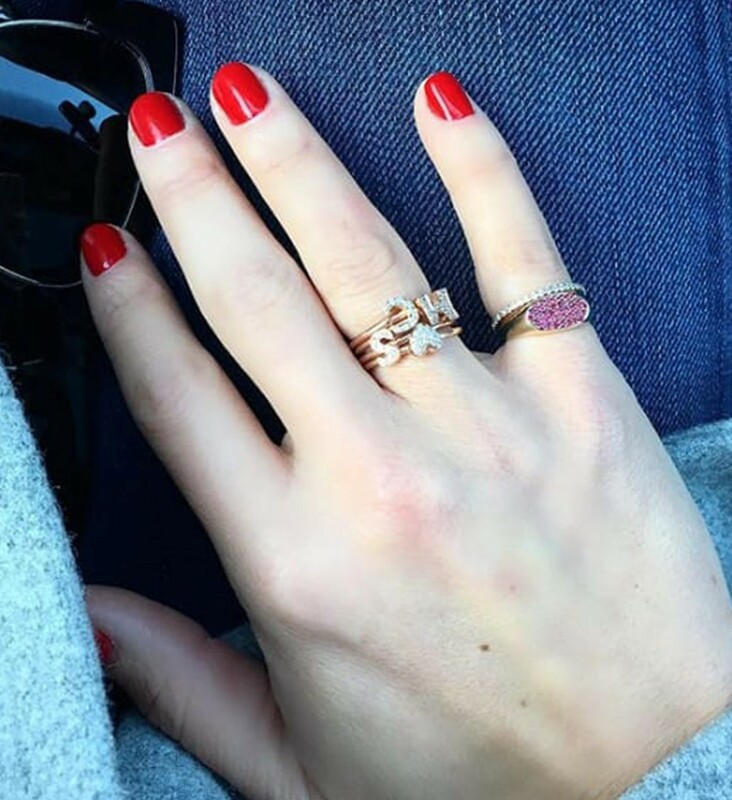 Our initial rings also stack beautifully with our diamond stacking heart rings. Most fingers allow up to five rings stacked. Each ring is sold separately. 1.5" mm substantial stacking band.